Rajnath will have bilateral meetings with the Russian leadership and discuss how to strengthen cooperation in tackling organised crime, smuggling of narcotics, fake currency notes and cybercrime. NEW DELHI: Home Minister Rajnath Singh will pay a three-day visit to Russia beginning November 27, during which a pact on cooperation in tackling all forms of terrorism will be signed, officials said today. Singh will have bilateral meetings with the Russian leadership and discuss how to strengthen cooperation in tackling organised crime, smuggling of narcotics, fake currency notes and cybercrime, a home ministry official said. As a prelude to the agreement to be signed, a meeting of the Union Cabinet, chaired by Prime Minister Narendra Modi, today gave its approval for the signing of the agreement on cooperation between India and Russia in the field of combating all forms of terrorism and organised crime. India and Russia have a long history of close cooperation in international fora on matters of mutual interest. With the rise in terrorism and organised crime across the world, it is imperative for countries to work together to combat all forms of terrorism, according to an official statement. The proposed pact, which will replace the agreement of October, 1993, is a step towards consolidating the benefits accrued in the field of security and seeks to jointly fight the new and evolving risks and threats. The agreement would reinforce the relationship between India and Russia through exchange and sharing of information, expertise, best practices and would help in curbing terrorism and enhancing security in the region, it said. The home minister will be holding discussions with Vladimir Kolokoltsev, Minister for Internal Affairs, and other senior Russian leadership. The discussions would cover the entire gamut of bilateral, regional and international matters of mutual interest, the official said. Singh is also expected to sign Joint Action/ Implementation Plan for cooperation in areas of drugs and disaster management. The home minister will be accompanied by top officials of the home ministry and security agencies. 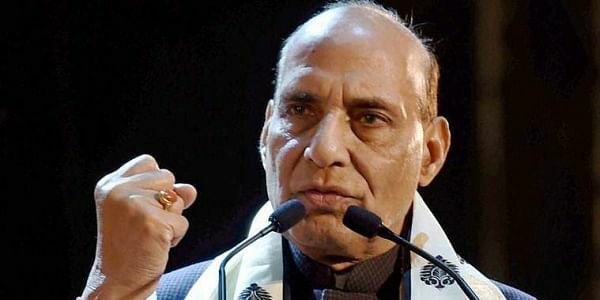 The home minister was scheduled to visit Russia on September 18, 2016, but he had cancelled it following a terror attack on that day at the Brigade headquarters in Uri in Jammu and Kashmir, in which 19 Army soldiers were killed. All four terrorists, who attacked the defence installation, were also killed by the security forces.